Let me see if I've got this right. 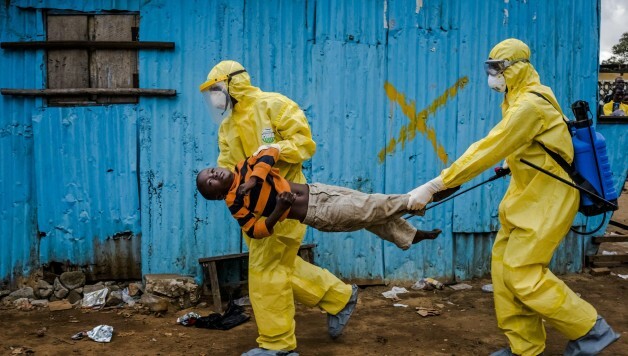 A man from Africa knowingly comes into the country, infected with the Ebola virus. And, he lies about it because he hopes to get treatment. This last part I understand. At least I can understand his desire to seek help in a country that has the necessary resources to deal with this potentially lethal sickness. However, as the result of his lie, he couldn't tell the hospital he had Ebola, so they didn't know what they were looking for and misdiagnosed him. Eventually, he dies, but potentially infects a number of other people, including his own family, to say nothing of possibly starting a major epidemic in the U.S.. Now, along comes Jessie Jackson who cries “Racism!” “He was poor, black and uninsured!” “That's why he died!” Meaning; once again, racist white Americans are to blame—and the media dutifully pick up this narrative and run with it. Any country with a shred of common sense, would stop all travel from the countries where Ebola is a problem. Instead, we determine that would be racist. So, we suggest taking everyone's temperature who steps off a flight, coming from a high risk country as a security measure. A problem, possibly dealt with by a handful of aspirin, holding the symptoms at bay just long enough to get by. How is it that in the dark recesses of our past, when knowledge and technology were a faint light, we knew better. We knew better a century ago. We knew better two centuries ago, how to deal with possible epidemics. But, not today. Today, we live in a post-modern world, where some knowledge is deemed racist—so we feverishly seek to unlearn fundamental knowledge, in an effort to become enlightened. How did we become so dimwitted? We have bitten the apple once again and found the knowledge contained within to be a kind-of slow acting poison. But too late, we can't unlearn what we already know, we can only forget, willfully ignoring every central truth of the past, which we do daily—and sit, waiting for someone to save us. No one is listening, though. They sit with their palms covering their eyes, their hands clasped over their ears, their mouths clenched tight, no one to hear, no one to see, no one to speak, no one at all.